Fire Alarm Cable is for use on fire alarms, smoke detectors, burglar alarms, voice communications, power limited circuit cable, critical circuit controls, signaling and indoor non-conduit per NEC. Fire Alarm cable is composed of solid bare conductors. Our Fire Alarm cable is also twisted for maximum flexibility. Fire Alarm cable is also available in Riser or Plenum. Fire Alarm can also be shielded with aluminum foil and a stranded tinned copper drain wire. An Ethernet cable establishes an Internet connection through either your modem or router. This cable can link your modem directly with one device — like your computer — though that is not the most secure way to access the Internet. Instead, use Ethernet cables to connect multiple devices to a router for added Internet security and to form a local area network (LAN) that allows file and Internet sharing. Whether you are setting up a network for your home or business, you need an Ethernet cable to provide the connection between your router and modem — unless you have a modem and router in one. You can then either use another Ethernet cable to connect your devices with your router, or access the Internet through your router’s Wi-Fi signal. Twisted pair cabling is a form of wiring in which pairs of wires (the forward and return conductors of a single circuit) are twisted together for the purposes of canceling out electromagnetic interference (EMI) from other wire pairs and from external sources. This type of cable is used for home and corporate Ethernet networks. Twisted pair cabling is used in short patch cables and in the longer runs in structured cabling. An optical fiber cable consists of a center glass core surrounded by several layers of protective material. The outer insulating jacket is made of Teflon or PVC to prevent interference. Optical fiber deployment is more expensive than copper but offers higher bandwidth and can cover longer distances. There are two major types of optical fiber cables: short-range multi-mode fiber and long-range single-mode fiber. In the 20th century they carried long distance telephone connections. A patch cable is an electrical or optical cable used to connect one electronic or optical device to another or to building infrastructure for signal routing. Devices of different types (e.g. a switch connected to a computer, or a switch connected to a router) are connected with patch cords. Patch cords are usually produced in many different colors so as to be easily distinguishable, and most are relatively short, no longer than a few meters. In contrast to on-premises wiring, patch cables are more flexible but may also be less durable. How many different types of Fire Alarm Cable are available? What's the difference between power limited cables and non-power limited cables? The difference between power limited cables and non-power limited cables comes down to which sections of NEC they comply with. Non-power limited cables is a fire alarm circuit powered by a source that complies with NEC sections 760-21 and 760-23. Power limited cables is a fire alarm circuit powered by a source that complies with section 760-41. Generally, how do I know what kind of fire alarm cable I need? Fire alarm cables are placed into three broad categories: plenum, non-plenum, and riser. Each of these corresponds to another standardized category. Plenum cable, to be used in ducts or other enclosed air spaces, is called FPLP; non-plenum cable, to be used in applications such as surface wiring, is FPL; and riser cable, which can be used in applications that go vertically from floor to floor, is FPLR. All of these names reflect where the fire alarm cable can be installed safely. Once you know where you will install the cable, you know in which category to start looking. Which standards should I consider when choosing fire alarm and security cable? In the US, the National Fire Protection Association (NFPA) plays an important role in standards because it publishes the National Electrical Code (NEC). This document regulates the installation of electric wiring and equipment and should definitely be considered before starting a project. ASTM International and Underwriters Laboratories (UL) also design tests and standards for a wide variety of wire and cable, including those used for fire alarm and security applications. In Canada, CSA International does work similar to the UL in the United States and can help assure compliance with the Canadian Electrical Code. What are some precautions to consider when choosing fire alarm cable? There are many safety precautions such as voltage, abrasion resistance, chemical resistance, etc., that should be considered in choosing any kind of electrical cable, including that for fire alarms. However, there are some notable fire-related safety precautions to consider as well. First is the fire resistance of the cable – will it burn and/or how long will it burn? Another is smoke propagation -- how much will it give off if it comes in contact with fire? These considerations should be made when choosing any type of electrical cable, but they are especially important in the case of fire alarm cable which must function in emergency situations and under extreme conditions. Most safety concerns (including these fire-related ones) are regulated by the UL, NEC, and other standards organizations and guidelines. The NEC outlines acceptable limits for burning and smoke emissions while the UL and other organizations are responsible for the development of various flame tests cables must pass in order to be considered safe for use. Are there different types of Ethernet cables? As with most technology, several versions of Ethernet cables evolved over time to suit changing consumer needs. While any Ethernet cable will likely be able to connect you to the Internet, newer cables are built to handle faster communication of more data. Ethernet cables fall into four different categories (“Cats”): Cat-5, Cat-5e, Cat-6, and Cat-6a. These categories were created in that order, and with each new model comes faster speed and less crosstalk (interference from different channels). Cat-5 and Cat-6 are the two most important categories for customers to know, and either one will likely work for a home network. Both of these cables are about 300 feet long and fit into the same Ethernet port on computers, modems, and routers. Cat-5 cables can provide speeds up to 1 Gbps and Cat-6 cables are designed for speeds up to 10 Gbps. There is a category above the Cat-6, but home Internet speeds and hardware capability aren’t quite ready for the Cat-7. Just because Ethernet cables can handle lightning-fast speeds doesn’t mean users will notice a faster Internet connection. To maximize the capability of the cables, the user needs to have an Internet Service Provider (ISP) that guarantees 1 Gbps or higher speeds as well as high-speed modems and new computer equipment. Ethernet cables, similar to enlarged phone cords in shape and appearance, have RJ45 connectors on each end to hook to a router or enabled device. Ethernet cables are twice as wide as phone cords because they contain twice as many cables. They plug into the back of a PC or the side of a laptop, and also can be used with gaming consoles. Sometimes, an LED indicator light will flash at the point of contact to indicate a connection. Ethernet is an industry standard in Internet technology supported by all network equipment makers. This makes it possible to connect hardware, regardless of manufacturer. Even in an environment that supports wireless Internet access, it’s a good idea to carry an Ethernet cable with your computer as a backup for connectivity. Should I upgrade my Ethernet cable? Depending on your Internet speed, either a Cat-5 or Cat-6 cable should work for your needs. However, a new Ethernet cable will not guarantee you faster Internet speeds if your other devices you use aren’t up to date. Your hardware and software work together with your ISP to provide you with the fastest Internet speed possible. There are reasons other than speed to upgrade your Ethernet cable. For users who transfer large amounts of data between computers on a local area network (LAN), an upgrade may be essential. If you are setting up a new network, you may want to use the latest Ethernet cable technology to avoid needing to upgrade in the near future. Category 6 cable, commonly referred to as Cat 6, is a standardized twisted pair cable for Ethernet and other network physical layers that is backward compatible with the Category 5/5e and Category 3 cable standards. Compared with Cat 5 and Cat 5e, Cat 6 features more stringent specifications for crosstalk and system noise. 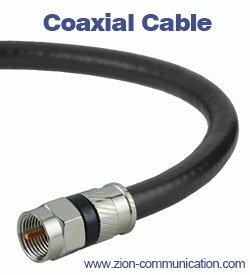 The cable standard specifies performance of up to 250 MHz. Whereas Category 6 cable has a reduced maximum length when used for 10GBASE-T, Category 6A cable (or Augmented Category 6) is characterized to 500 MHz and has improved alien crosstalk characteristics, allowing 10GBASE-T to be run for the same 100 meter distance as previous Ethernet variants.